Rubbermaid is one of many popular brands of mailbox. It is made of weather-resistant plastic, which means it's affordable and low-maintenance. Rubbermaid also makes a variety of outdoor home and lawn products such as deck boxes, patio benches and even storage sheds. Mailboxes are only one of Rubbermaid's many products. Rubbermaid is one of many popular brands of mailbox. It is made of weather-resistant plastic, which means it's affordable and low-maintenance. Rubbermaid also makes a variety of outdoor home and lawn products such as deck boxes, patio benches and even storage sheds. Its indoor products, such as trash cans and storage containers, focus on home organization. 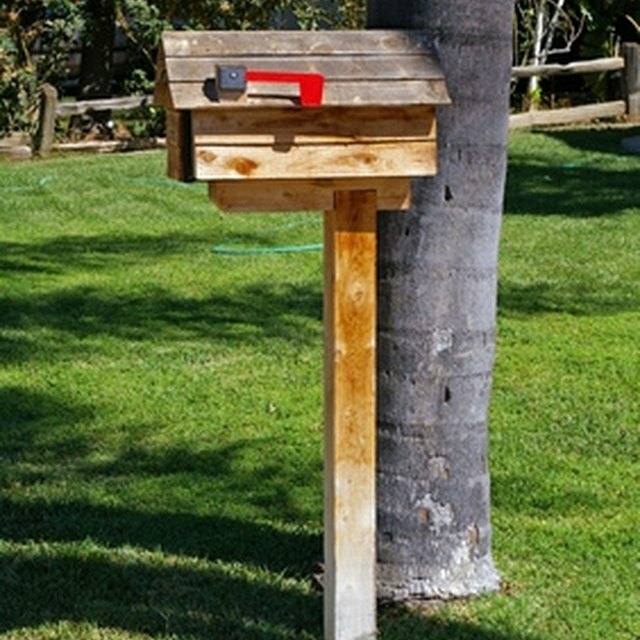 With a few simple tools, you can easily install a Rubbermaid mailbox. Pound the mounting stake into the ground with a hammer or small sledgehammer. You can place a piece of scrap wood, such as a short section of a 2 inch by 4 inch board, over the mounting stake to form a barrier between the hammer and the stake. This protects the stake from damage as you hit it. Check the stake after you've pounded it in a few inches, to ensure that it's level. Check the level with a bubble level tool, available at your local hardware store. Adjust the stake manually until it's level. Slide the plastic post over the mounting stake. Fasten the post to the stake with screws, using a cordless electric drill. Put the screws at the base of the post, a few inches from the bottom. These screws, and all needed screws and hardware, are included with your Rubbermaid kit. Place the mounting bracket on top of the post. Drill four Philips screws through the mounting bracket and into the post. Place the mailbox on top of the mounting bracket. Attach with four more Philips screws. Use caution when operating a drill or hammer. Why Does My Bathroom Smell Like Raw Sewage?